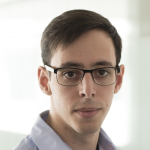 Quentin joined the Software Heritage team in 2016 for his graduation internship, finishing his Master degree in Computer Sciences at University Paris-est Marne-la-Vallée. He contributes to the distributed, fault tolerant object storage that Software Heritage uses to store different versions of individual source code files. 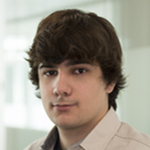 Jordi joined the Software Heritage team as an intern in 2016, while finishing his first year of Master’s degree in Computer Science at University Pierre et Marie Curie. He contributes as a front-end developer for web-based, public facing Software Heritage services. 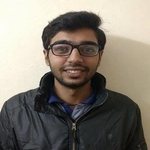 Sushant joined the Software Heritage team as an intern in 2017 while finishing a Bachelors degree in Electrical at IIT(Indian Institute of Technology) Kanpur, India. He believes “Learn something about everything and everything about something” (-Thomas Huxley). Apart from Academics, he enjoys spending time watching football. He will work on automating the process of collection and ingestion of Debian source packages into the Software Heritage archive. Avi is a wandering underwater roboticist by day and a Free Software, community, and sharing advocate by night. 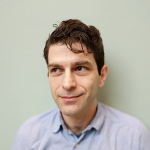 He believes that historical preservation of ephemeral information is critical to understanding our societies and that the worst feeling in the world is the one you get when you can’t find something that you are certain should be there. One of his goals as visiting hacker is to make external code contributions to the project easier for people by reducing the necessary cognitive load.